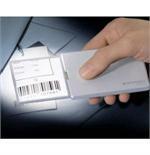 Credit Card Magnifiers Fit Easily Into Your Pocket For Use in Restaurants and Shopping. Many Have a Built In Light. 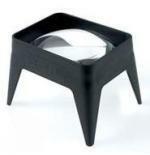 Desktop Magnifiers Help On Your Desk, In the Kitchen or Wherever Magnification is Needed Often. 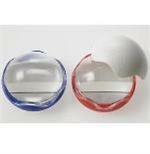 Dome Magnifiers Are An Excellent Desktop Tool For Scanning and Magnifying Small Print. Many Have Tracking Lines. 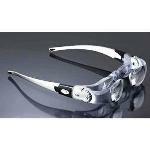 Electronic and Video Magnifiers Can Manage a Variety of Powers and Situations. 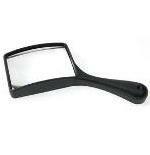 Folding Pocket Magnifiers Fit Easily In Your Pocket Or Purse For Instant Magnification. Available in Many Magnification Powers. 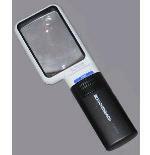 Hand Held Illuminated Magnifiers Are Fantastic For Providing Light And Magnification On a Subject. Hand Held Magnifiers Can Be Used Anywhere Magnification Is Needed. Lightweight and Simple. 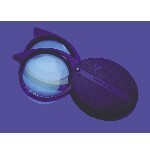 Lens Cleaning and Fog Shield Products Keep All Your Lenses Clean And Fog Free. 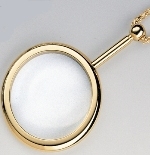 Pendant Magnifiers Are Both A Tool And Jewelry. 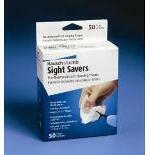 Made By Eschenbach, These Have The Highest Quality Lens Available. 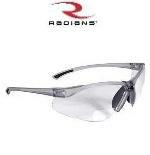 Reading Bifocal Safety Glasses Are Available in Clear And Dark Shades And In Many Magnification Powers. Reading Glasses. Both Traditional By Eschenbach and The Famous Eschenbach Max-Detail. 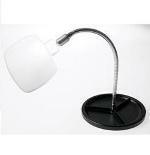 Stand Magnifiers Are Great For Stationary Magnification. Available In A Variety Of Sizes And Power.